Disclaimer: Little Sprouts Playhouse provided my family with complimentary admission. All thoughts and opinions expressed are my own. I hope I’m not alone when I say that I need to get my kids out of the house or I’ll go a little nutty – especially now that the weather is not the best. In my quest for something new to do with the little ones I stumbled upon Little Sprouts Playhouse in Southington, CT. It’s only been open since October 2016 so it’s fairly new to the area, but it has everything you want out of an indoor play space. Continue reading to find out how you can win 2 open play sessions! Little Sprouts Playhouse is a children’s gym geared toward little ones from ages 6-months to 6-years-old. 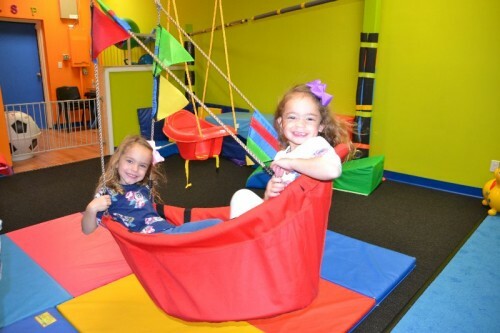 They offer structured gym and art classes, open play, birthday parties and drop-off events. 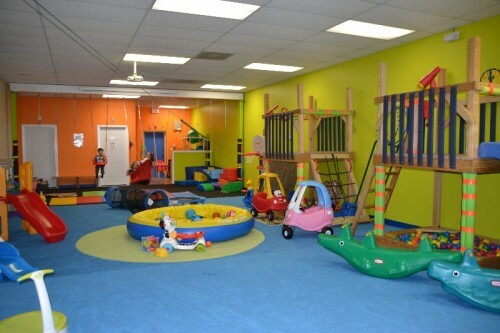 It’s a brightly colored space with plenty of room for children to play. They have two large play structures with slides and smaller toys that get rotated in and out so there’s always something new to play with. There are 3 monthly membership options to choose from to attend class. 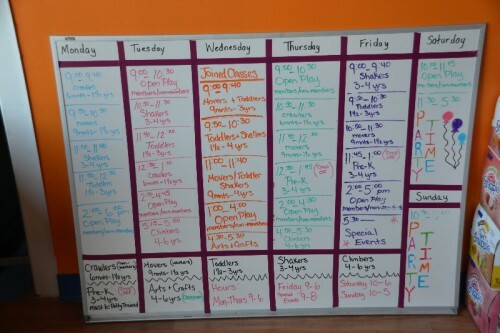 The memberships vary from one class per week to unlimited classes per week. Memberships also include weekly open play sessions (number varies depending on level of membership). Classes are available for children ages 6-months to 6-years-old. Kids are grouped according to age and motor skill ability. There are a variety of mommy and me classes as well as drop off options. You can check the schedule and register for classes online. There are between 1 and 2 open play sessions per day. 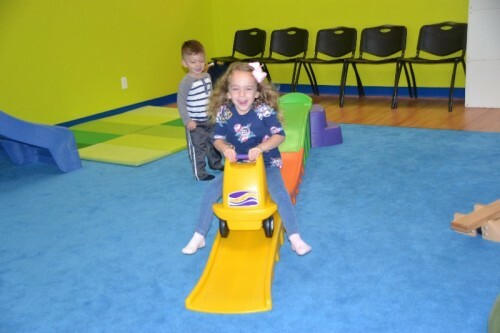 The fee to participate in open play is $8 for nonmembers, $5 for members. You can also purchase a bundle pack that helps save money if you plan on attending frequently. 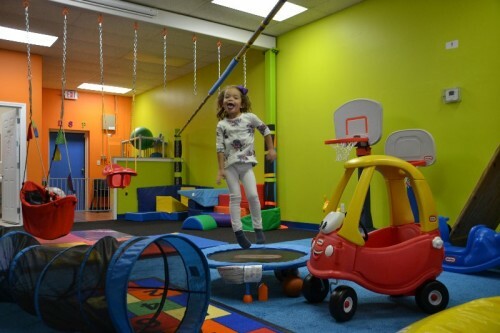 In order to keep the gym as clean as possible, the play area is a sock-only zone! 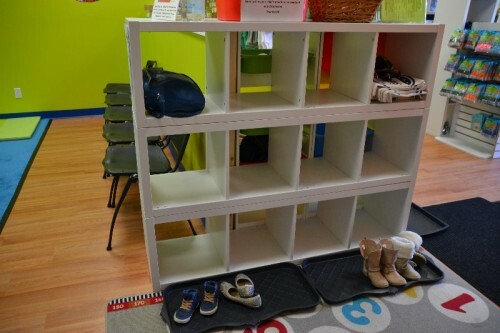 There are cubbies available to store your shoes. TIP: I like to keep extra pairs of socks in my car, diaper bag, or purse for play spaces like these. The children are free to climb, run, and play at their leisure. 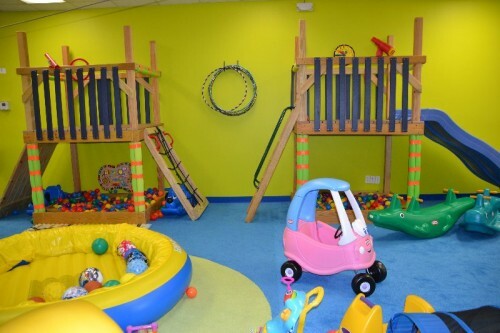 There are no staff members supervising the open play so parents must stay with their children at all times, but there is adult seating to sit and watch kids play independently. The gym is set up with slides, balls, mini trampoline, swings, tunnels, ball pit and various riding toys. My kids (and me too!) especially loved the boat swing and roller coaster. These are great toys for me to keep in mind for upcoming birthdays. We spent about 2 hours at open play trying out all of the toys. I love that this is a clean, safe place for my kids to burn off some extra energy when the weather is too cold or rainy to play outside. The best part is that after they run around there’s no need for me to put everything away! I would definitely recommend Little Sprouts Playhouse. The space is perfect for babies and toddlers. Little Sprouts Playhouse also offers birthday parties for up to 16 kids (additional kids can be added for a fee). The birthday parties include structured gym time, activities, pizza and cupcakes. There are a list of add-ons also available to help customize the party. 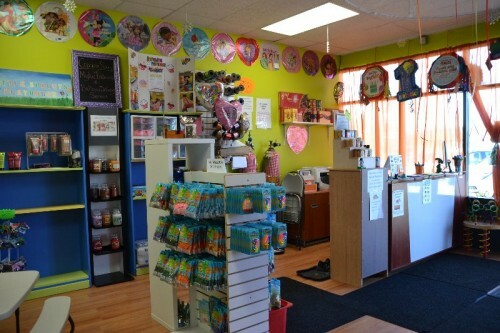 I just booked my youngest’s party here in March so I’ll give you the scoop on birthday parties in a few months! Note: Due to allergies – there is no outside food permitted at Little Sprouts Playhouse. 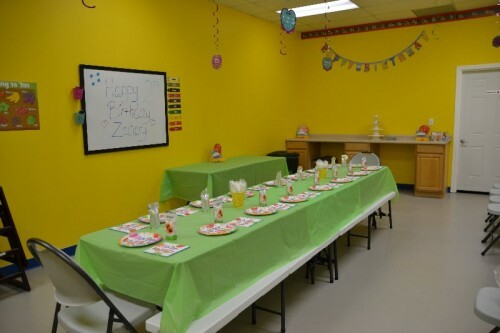 There are snacks and drinks available to purchase and menus for birthday parties. 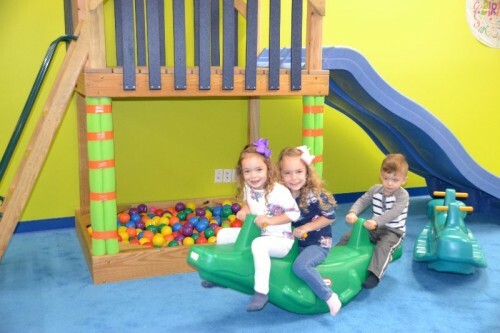 Two lucky CT Mommy Blog reader will win 2 Open Play Passes to Little Sprouts Playhouse. Read the contest rules below and enter for your chance to win. Good luck! One winner will be chosen at random and announced on January 25, 2017 on Facebook. The winner will also be notified through email. The winner will have 48 hours to respond by email with his/her mailing address to claim prize. If he/she does not respond in the designated time he/she forfeits their chance at the prize. A new winner will be chosen. Prize will be mailed to winner by Little Sprouts Playhouse directly. CT Mommy Blog is not responsible for prizes late, delayed, misdirected, lost, damaged or improperly mailed.